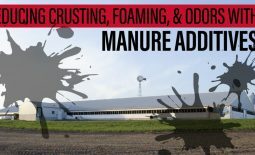 2018 fall season was trying with bouts of cold weather and precipitation during a time that is typically favorable for manure application. Although we can’t control mother nature and the application window she gives us, we can ensure equipment is ready to roll when we start back up in the spring. 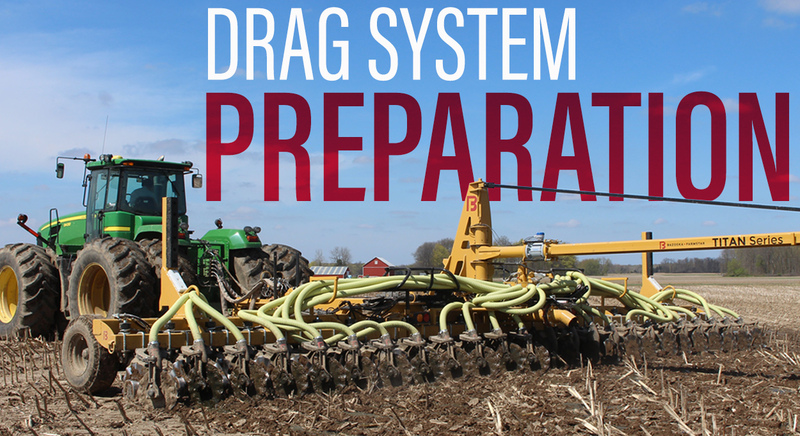 With this fall’s tough conditions, there is a lot of items on your drag hose system that need to be inspected and serviced. Check all coulters for wear and replace if less than 20.5 inches. This will greatly increase bearing life and manure coverage. If you have a Dietrich tool bar, look for breakage and extra wear on sweeps; replace as needed. Remove dust caps on coulters and sealers. Inspect for dirty grease and looseness. Spend extra time on these and save yourself downtime in the upcoming season. Replace as needed and fill with fresh grease. Check main wheel bearings. These are often neglected until its too late then it becomes a huge issue. Inspect manifold. Is the overhung bearing still good and tight or does it need rebuilt? Is the aluminum gasket ring ok or is it showing fatigue? 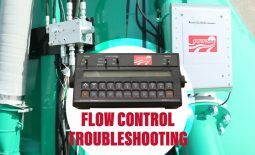 Are flowmeter cables and connections marked or rough? If so, replace them. Look at your hose connection on the pivot and make sure it is functioning properly. 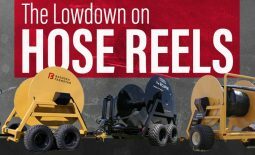 Inspect hinges and 3-point hitch pins for wear. Also look for stress cracks in paint and get repaired prior to going out. Fall 2018 was brutal! If your pump was leaking oil last fall, now is the time to fix that. Your pump needs a new seal. Take the suction plate off and inspect the wear ring. Check the pump housing /gate valves and drive mechanism for excessive play or misalignment. Maintenance now can prevent drive shaft and coupler failure this spring. Replace oil and filters in the engine. Change your air filter; it can really get dirty in the fall season. Check wheel bearings on your trailers, tires and brakes. Inspect all bolts, wires, and switches to make sure they haven’t worked loose. Does the hub have grease and is the castle nut secured? Make sure the frame and wheel are free of stress cracks. If you own an air compressor, now is a good time to get it serviced and ready. Do you have the right tools and spare parts on your truck to get the job done? Have you replaced spare parts used from this past fall?